The Bank of England has today increased the base rate to 0.75%, signalling the start of the end for a period of accommodative monetary policy. Today the rate is now at its highest since March 2009, This means several borrowers will not have experienced a base rate above 1%. In fact, more than 2.5 million first-time-buyer mortgages were issued between March 2009 and May this year. Some who have taken out tracker mortgages, now would be a great time to look into fixing there mortgage to avoid future hikes in your repayments. If you're a first time buyer, it is absolutely worth seeing advice about your borrowing to ensure you secure the best product for your purchase. If you have any questions on how this or future hikes may affect you, please do get in touch. Find out how much your property is worth by clicking on the link above. Being in London, demand is high, people would like to move quickly and there is a lot of uncertainty in the industry. However this has not stopped us from selling properties. 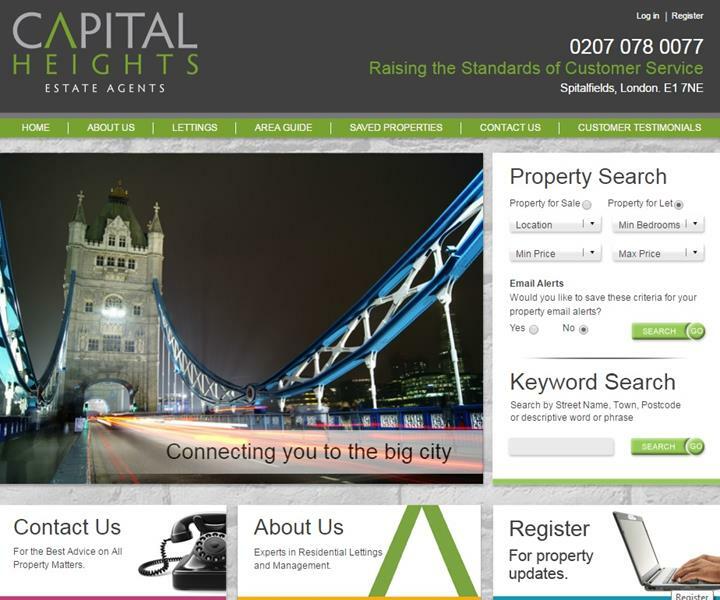 Over the last 6 months, we have sold properties across E1 Whitechapel and E2 Bethnal Green areas in a record time. The average time it took to sell a property in March was 47 days, In April it took even less 43 days. 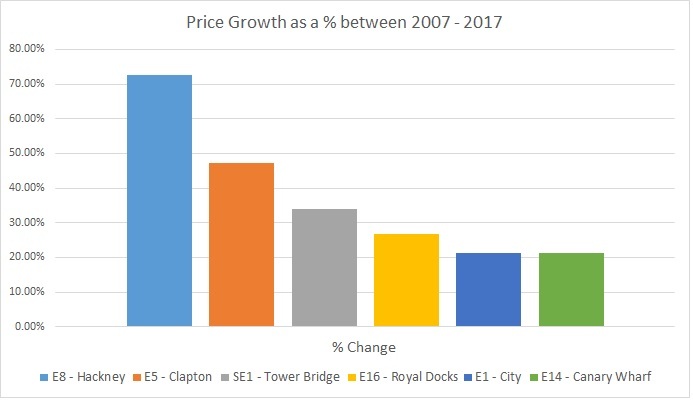 See the graph below, its shows how the average price in your area compared to the current price which has jumped by nearly 50% over a 10 year period. The price of property coming to market in Greater London is now an average of 1.5% cheaper than this time a year ago, a rate of fall not seen since May 2009. The fall is mainly driven by Inner London, down by 4.2% (-£35,504), while Outer London is up 1.7% (+£9,017). 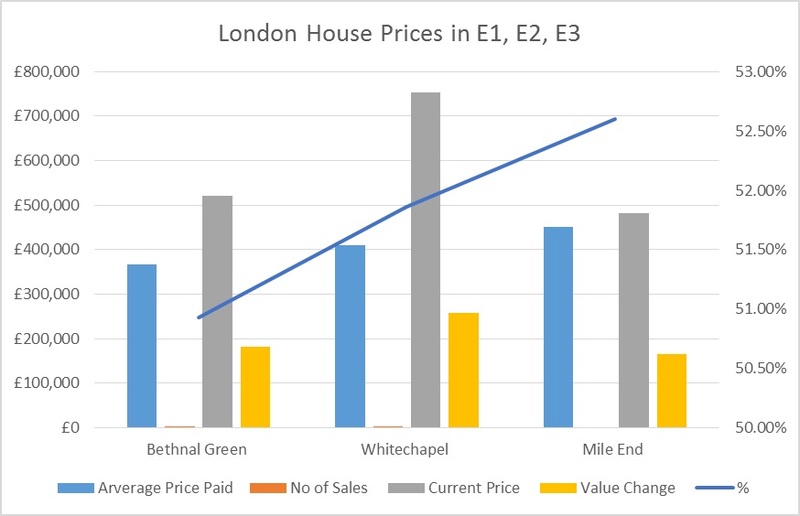 Since last month, asking prices in both Inner and Outer London have fallen, though again it is Inner London with a monthly fall of 3.6% that is dragging the overall average down. Outer London remains broadly flat, down 0.2% (-£1,177) on the month. The bottom and middle price sectors are holding up better, while the top end is still re-adjusting. Typical first-time buyer properties (two bedroom or fewer) are both up for the month (+1.3%) and for the year (+0.5%). The typical middle market of “second-stepper” homes (three and four bed properties excluding four bed detached houses) also shows price resilience, both down only marginally month-on-month (-0.7%) and year-on-year (-0.2%). It is the top of the ladder that continues to suffer. This sector covers asking prices at the top end of the market, with all five bed properties and above, as well as four bed detached houses. The fall of 11.9% this month reflects volatility in one month’s figures in a smaller section of the market, but the annual rate of fall of 7.3% is a more reliable longer-term indicator of the challenges that this sector is facing. our thoughts, if you are considering selling your property or have your property on the market already, give us a call, we can help advise you on what would be the best price to market your property and what would be the best plan of action to achieve the highest price. We have had a busy March and April and believe this trend will continue this year. Average house prices across the UK in the three months to March were only 0.1 per cent higher than in the previous quarter - and the annual rate of growth dipped to 3.8 per cent, the lowest rate since May 2013. The figures come from the Halifax. “The annual rate of house price growth has more than halved over the past 12 months. A lengthy period of rapid house price growth has made it increasingly difficult for many to purchase a home as income growth has failed to keep up, which appears to have curbed housing demand” says Martin Ellis, the Halifax’s housing economist. “Nonetheless, the supply of both new homes and existing properties available for sale remains low. This, together with historically very low mortgage rates, is likely to support house price levels over the coming months” he adds. Last week, the Nationwide said that house prices had actually fallen in the last month. 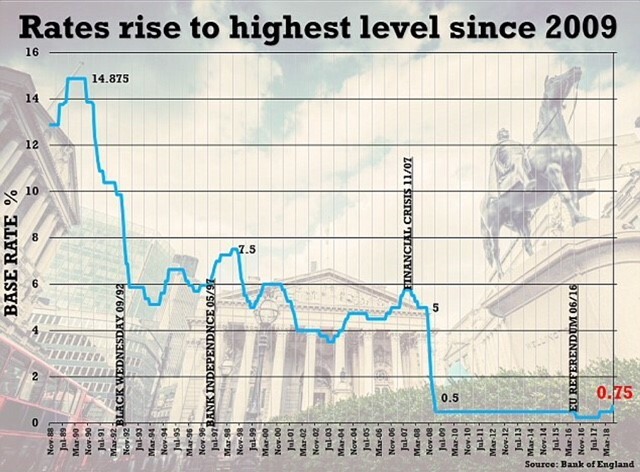 Commenting on the Halifax data, north London estate agent and former RICS residential chairman Jeremy Leaf said the figures suggested that house prices should still be rising more rapidly bearing in mind the low volume of transactions and shortage of stock. “In other words, it is not very good news” he warns. 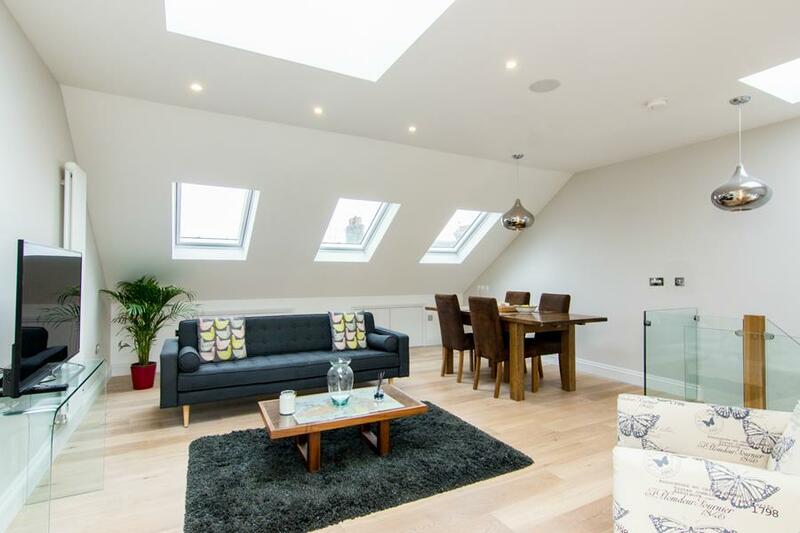 A perfectly presented, one double bedroom flat set in this wonderful gated development. This property is well proportioned with a lovely and very attractive large living room covering 27ft. We write this blog to pay homage to our old site, for many years this site served us well, built our business as well as giving us a real presences on the net. The site made us real contenders within the City and surrounding area. The Brexit victory sent economic shockwaves through global markets and UK stocks on Friday had their worst drop since the financial crisis. But how does this effect us, you and our future. 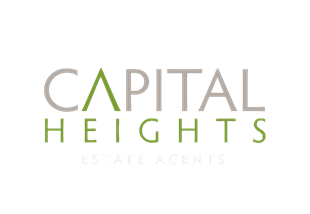 We are all in the dark as to what will happen over the next few weeks and months, however we at Capital Heights would like to help you plan for the future. We not only help our clients with finding tenants for there properties, but we help with the management of their portfolios, advising them on where to invest and what would be the best properties to buy. Now we have left the EU, there is an uncertainty that many foreign nationals who live in the UK may have to leave as a result of the potential sticker immigration laws, this would lessen the competition for rental properties and therefore lead to lower rents. Around 37 % of residents being from foreign – born nationals and around 11% of this population being from the EU. Foreign-born nationals are three times more likely to be renters than British-born residents, according to the Migration Observatory. if landlords are unable to afford higher mortgage repayments due to worse economic conditions, they may sell up. If you would like a free no obligation chat with us with regards to the future of the property market and how we can take advantage, please do get in contact. This is our newest property for sale. 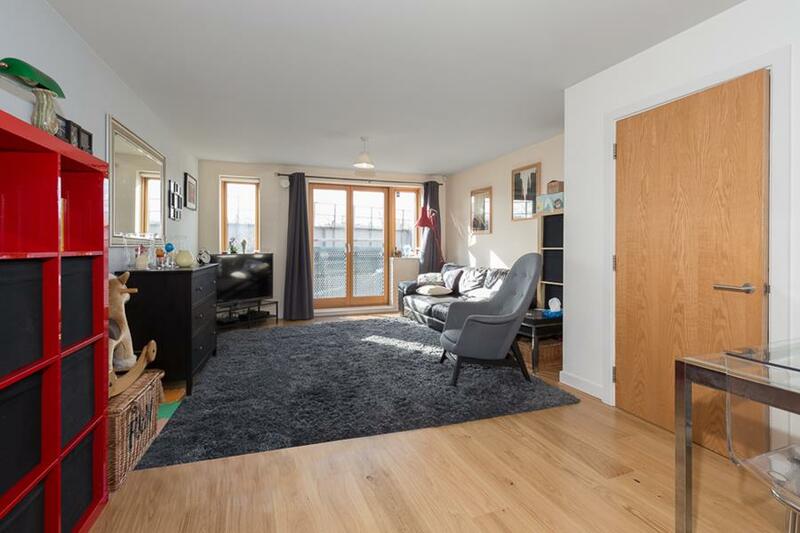 A three bed home in the heart of east London.